The issue of the POW/MIAs from the Vietnam conflict was the main lens through which the Vietnam war was viewed by successive US administrations. The Johnson administration had kept the existence of captured American military personnel a strict secret. Nixon, and his defence secretary Melvin Laird, made the conscious to turn the POW/MIA issue into a public relations campaign. In 1969, Nixon and his colleagues went public with this issue. The notion of American rescue of POWs became the overriding theme of the Vietnam war. The National League of POW/MIA families has its origins in this campaign. The Nixon government spared no expense in promoting the POW/MIA issue, ensuring that the negotiations between Vietnam and the United States remained deadlocked. On the domestic front, the POW/MIA issue achieved national media coverage, celebrity endorsements and profile. The POW/MIA bracelet became a best-selling item – along with the ubiquitous POW/MIA flag. The POW/MIA issue was accompanied by a mass marketing campaign – bumper stickers, t-shirts, coffee mugs, home windows, badges, motorcycle gang patches, postcards – all featured the black POW/MIA flag. The POW bracelet was a resounding success, with numerous Hollywood celebrities wearing the bracelet as part of the effort to raise awareness of the issue. The POW/MIA flag is sewn into the sleeve of the official white robe of the Ku Klux Klan. On the international stage, the POW/MIA myth was deployed by the Nixon administration to scuttle peace talks between the United States and Vietnam. Ruling circles in Washington were intent on maintaining some kind of client regime in Saigon. With public opinion turning against the prosecution of this war – and Vietnam veterans were heavily involved in the anti-war campaigning – Nixon and his colleagues exploited the grief of those who had lost loved ones in Vietnam for particular political purposes. Hanoi insisted that the US contribute financially towards the reconstruction of the country is had spent so many years damaging. The US insisted that first, a full accounting of all live captives and unaccounted for be provided by Hanoi. This is where negotiations deadlocked. In fact, Vietnam was anxious to begin the long and costly process of reconstruction. All the live POWs had been returned by Vietnam in 1973 during Operation Homecoming. By holding back aid for Vietnam until every single last mythical POW/MIA had been accounted for, the US was effectively imposing an economic embargo on that nation. Let us be clear – there are always missing in action after every conflict. There are still thousands of American military personnel still unaccounted for from World War Two – yet the United States contributed millions towards the post-WWII rebuilding of Europe. In 2017, the case of the late US Army Air Staff Sergeant Alfonso Duran was closed. A field mission recovered his remains, where the locals had buried him after his plane was shot down – by the Germans. Duran’s case is not from the Vietnam conflict, but from World War Two. He was shot down on February 25, 1944, and his remains were buried in a town in Slovenia. His case serves to illustrate that POWs and MIAs are not equivalent, and that the search for missing personnel continues. Vietnam cooperated with field missions and fact-finding groups that sought to resolve the issue of POWs and MIAs. Such cooperation continues until today. No prisoners were left behind by the United States. In fact, keeping live captives and then strenuously denying they even exist makes no logical sense from Hanoi’s perspective. If you had captives to be used as bargaining chips to extract concessions, repeatedly denying that you have such captives is hardly logical. Professor Robert Brigham from Vassar college has stated that it is understandable that those who have loved ones who served in Vietnam have clung to hope – however remote – that there is a possibility that their relatives survived that conflict. What is scandalous is the cynical manipulation of their grief to continue refighting and rehabilitating a predatory and criminal war. The Vietnamese were defending themselves – first against the French colonial power, and then the Americans – and fighting for their self-determination. 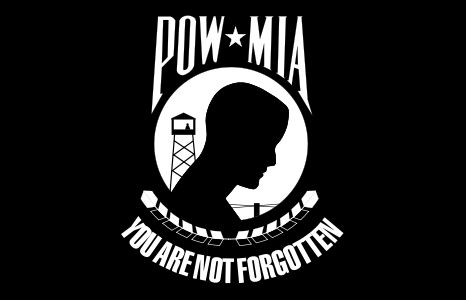 The POW/MIA myth inverts history and turns the Vietnamese from fighters into captors. The savage and near-apocalyptic violence visited upon Vietnam left scars on the nation until today. Rather than understanding that essential history, the POW/MIA myth deliberately distracts from it. When former Senator John McCain passed away in August last year, his funeral was turned into an exercise of near-canonisation. Eulogies flowed endlessly from political figures both Republican and Democrat. He has passed on – rest in peace. His passing should not be an occasion to speak ill of the dead – but uncritical eulogising should not remain unchallenged. He participated as an airman in a vicious and predatory war – a war which inflicted unimaginable suffering on its Vietnamese victims. McCain himself undoubtedly suffered when he was held as a POW for five-and-a-half years. But his torment was only the resultant outcome of an illegal and savage war in which he voluntarily participated. In fact, we should adopt the same attitude towards McCain as we do towards the Confederate soldiers who fought in the US civil war. Their suffering is undeniable, but they fought for a cause which was criminal and contained a strong undercurrent of racism. McCain, having dropped bombs on the Vietnamese from a great height, finally faced the consequences of his actions when he was downed and captured. He remained an unrepentant proponent of imperial wars throughout his life. Let us reserve our compassion for human agony for the thousands of Vietnam veterans who returned from that war suffering from PTSD, facing homelessness, drug and alcohol addiction, and numerous mental health issues as they struggled to reintegrate into civilian life. Let us remember that there are Australian Vietnam veterans who struggled with PTSD on their return home. Perhaps my own bias as an Australian is showing through here, but nevertheless PTSD issues are not confined to one particular nationality. Let us grieve for Warren, a Vietnam veteran who has lives most of his adult life with PTSD. There is an ongoing problem of homeless veterans in the United States, which requires urgent attention. It is time to take down the POW/MIA flag. We would do well to honour the veterans by stopping the imperialistic wars which inflict untold suffering and trauma on their victims and participants. The issue of the Prisoners of War/Missing in Action (POW/MIA) is one of the last remaining leftover campaigns from the Vietnam War. This refers to the fate of American military personnel still listed as Missing in Action or Prisoners of War in Vietnam and the related military operations of the United States forces in Southeast Asia. The issue has its own very public and heavily promoted symbol – the POW/MIA flag. This flag has attained particular prominence since the conclusion of the Vietnam War – it is flown alongside the American flag atop many government buildings throughout the United States. In Honolulu, the POW/MIA flag is flown at the headquarters of the American Legion, a military veterans organisation. The motorcycle group Rolling Thunder, dedicated to the return of all ‘live captives’ from Vietnam, held their rally through the streets of Honolulu in late last year. Alongside the American flag, the standard bearer of the rally held the POW/MIA flag. Though the popularity of the motorcycle group has declined, the POW/MIA issue still holds a special place, almost that of a national religion, in the American cultural consciousness. Is there any truth in this widespread belief that the North Vietnamese kept live American POWs after the conclusion of the Vietnam hostilities? Even a cursory examination of the popular culture reveals that the belief in POW/MIAs still persists. Throughout the 1970s and 80s, numerous movies were made in Hollywood depicting attempts by private individuals – usually Vietnam veterans – to launch rescue missions despite official resistance and denials by the US government that such captives exist. Sylvester Stallone’s Rambo, Chuck Norris’ numerous Missing in Action movies, Gene Hackman in Uncommon Valor – all had as their common theme a rightwing version of Watergate. The US government and its various agencies, the Pentagon, the US Congress, the military intelligence agencies – all are engaged in a deceitful and monumental coverup – namely, denying the existence of live American captives in Vietnam after the end of that war – so we are led to believe by the partisans of this conspiratorial viewpoint. This conspiracy reaches the highest levels of the American government, and it is only the lonesome and courageous efforts of unrepentant Vietnam war warriors – such as Bo Gritz, aided and abetted by organisations such as the National League of POW/MIA Families – that has kept alive this issue in the face of government attempts to squash it. It is worthwhile examining this issue – and being skeptical of the continued existence of live captives after the Vietnam war – for a number of reasons. The POW/MIA myth – because that is what it is – is unique to the Vietnam conflict in that it has provided a never-ending rehabilitation of that war. There have been – and still are – military personnel unaccounted for from every war. At the end of World War 2, there were 79 000 American military personnel still unaccounted for. That is out of a total of 16 million Americans who served in that conflict. The Department of Defence’s POW/MIA Accounting Agency is still researching and updating their records as new information about the MIAs filters in. It is not just from the World War 2 conflict – 7800 Americans still remain unaccounted for from the Korean conflict. There is no residual campaign to liberate American captives from either of these conflicts. The POW/MIA issue is a deliberately constructed propaganda exercise – originating with the Nixon administration – to justify American efforts to continue the Vietnam conflict in a different way from open military intervention. Examining this issue forces us to ask serious questions about ourselves and our own political culture – a culture which exploits the legitimate grief of loved ones of unaccounted personnel for imperialistic political purposes. Prior to American involvement in Vietnam, there was no such category as POW/MIA. The military had maintained a strict distinction between those who were known to have been captured by the enemy, and those personnel who were unaccounted for. The category Killed in Action/ Body Not Recovered (KIA/BNR) was used in those instances where the body had disintegrated, or was lost in totally inaccessible locations. Aircrew whose plane had been shot down, or who were lost at sea, or downed over dense tropical jungle, were included in this category. Prior to the 1973 Paris Peace Accords, this category was kept separate. The Nixon administration cleverly lumped all MIAs and POWs into one conflated category. It was a brilliant, if malignant, propaganda coup. For now on, any MIA personnel would immediately and inevitably be associated with POW. Once MIAs could be directly linked as possible POWs, the Nixon administration created a category that could never be falsified – if a soldier is listed as MIA, surely they could possibly still be alive somewhere in Southeast Asia as a captive in a secret POW camp? Arguably the cagiest stroke of the Nixon Presidency was the slash forever linking POW and MIA. In all previous wars, there was one category called “Prisoners of War,” consisting of those known or believed to be prisoners. There was an entirely separate and distinct category of those “Missing in Action.” The Pentagon internally maintained these as two separate categories throughout the war and its aftermath. But for public consumption, the Nixon Administration publicly jumbled the two categories together into a hodgepodge called POW/MIA, thus making it seem that every missing person might possibly be a prisoner. Because this possibility cannot be logically disproved, the POW/MIA invention perfectly fulfilled its original purpose: to create an issue that could never be resolved. Why did the Nixon administration do this? By the late 1960s, despite intensive aerial bombardment of Vietnam, the prospect of outright military victory was remote. The 1968 Tet Offensive by the North Vietnamese demonstrated to the American military that victory was virtually impossible. Nixon’s predecessor, Johnson, had kept the issue of captured American military personnel, most of them air force pilots, under wraps. Increasing number of Vietnam veterans were protesting the war, most notably organised into the Vietnam Veterans Against the War group. In addition to the deteriorating military situation for the Americans, the routine torture and killings by their allies, the South Vietnam Saigon regime, was achieving greater publicity and generating further domestic opposition to the war. The Saigon puppet government, a collection of corrupt generals and thieving politicians, was a kleptocratic dictatorship that used savage violence against any and all opponents. When the Vietnamese Buddhists rose up and protested the discriminatory policies of the Ngo Dinh Diem regime in the early 1960s, protesters were locked up in so-called ‘tiger cages’ where they were manacled, beaten, malnourished and tortured. When Diem failed to successfully suppress the non-violent Buddhist opposition, he was assassinated in a CIA-backed coup by his generals in November 1963. This coup had the support of the Kennedy administration. Diem was gone, but the client regime remained. Torture and violence was the way the Saigon rulers stayed in power, a regime US forces were supporting. News about this client regime’s brutal measures filtered out, influencing American domestic opposition to the war. Nixon, inheriting this mess, decided to change the goalposts. No longer was definitive military victory promised, but the rescue of American POW/MIAs. Shifting the moral onus of the war onto North Vietnam, he portrayed the situation as one of helpless captives being held hostage by the scheming, maniacal North Vietnamese. After all, Asian Communists make for convenient villains in American culture. No longer was the Vietnam war a case of American aggression against a weaker opponent. Vietnam, Laos, Cambodia – none of these nations ever attacked America. Even if they wanted to, they did not have the capacity to attack. Forgotten were the lies fabricated by the United States which served as a pretext to invade Vietnam. Forgotten was the constant napalming of villages, burning and mutilating Vietnamese with overwhelmingly firepower. Long forgotten were the millions of Vietnamese victims, and the 300 000 Vietnamese missing in action. Forgotten is the fact that the United States dropped more tonnage of bombs on Vietnam than it did during all its participation in World War Two. Distracting the domestic opposition to the war, the Nixon campaign found an issue that would serve to deflect criticism of its war policies, and refocus energy on continuing the patriotic effort to fight the Vietnam war. Singling out the POW/MIAs in Vietnam was a cynical manoeuvre to counter the Vietnam veterans who were organising protests against this war and exposing the crimes of the Saigon allies. The Nixon administration, and subsequent presidents, made the rescue of the POW/MIAs a top priority. Former President Reagan declared that if the Vietnamese government did not provide a full accounting of the POW/MIAs, he would resume bombing that country. Actually, the defence department accounting agency keeps detailed statistics about those personnel unaccounted for. The latest information places the number of unaccounted for from Vietnam at 1247. Out of those, 470 are deemed to be non-recoverable. That leaves 777 as the remainder. Since the war’s end, there have been numerous investigations – congressional committees, federal departments and agencies, as well as private organisations – and no credible or verifiable evidence has yet emerged that a single POW is being held by Vietnam after the end of the war. Yet, we are still gripped by a fever to find those missing POWs. How did the POW/MIA myth take hold and become such a powerful factor in American culture? How does this issue contribute to an unending Vietnam war? We will examine these issues in the next part. Stayed tuned. In the meantime, you may wish to read the magisterial study of this issue written by Professor Michael J. Allen, called Until the Last Man Comes Home: POWs, MIAs, and the Unending Vietnam War.